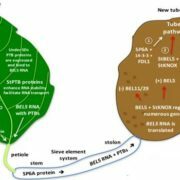 Background: Phosphorus is a major essential nutrient for plant growth and development, and phosphate (Pi) is the main form of phosphorus that is absorbed by plants and translocated from roots to shoots. 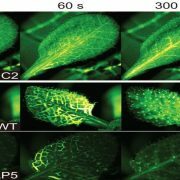 Arabidopsis PHOSPHATE1 (PHO1) protein participates in Pi transfer from roots to shoots, and the expression of the PHO1 gene is downregulated by the transcription factor WRKY6 under Pi-sufficient conditions. The WRKY6 protein is degraded during Pi starvation, and then the repression of PHO1 by WRKY6 is released. 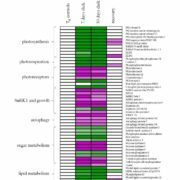 Question: WRKY6 is degraded under low-Pi stress, and then PHO1 gene expression is elevated. How are these processes integrated? 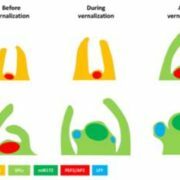 Is there a key regulator in modulating the degradation of WRKY6? 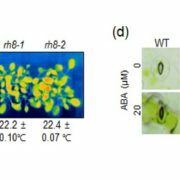 Findings: We found that Arabidopsis PRU1 modulates Pi transfer from roots to shoots in response to low-Pi stress. PRU1 functions as an ubiquitin E3 ligase. 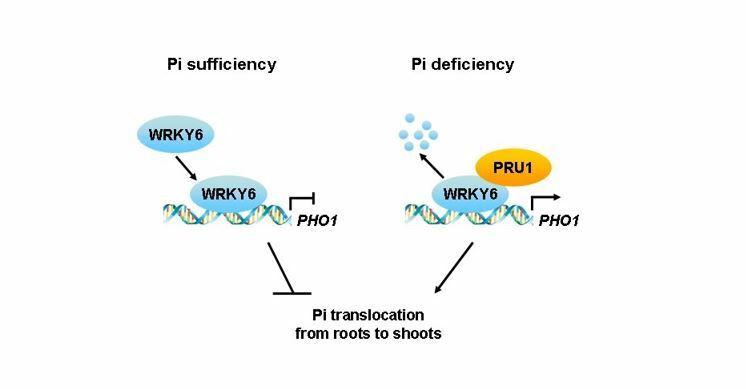 Under Pi-sufficient conditions, WRKY6 represses PHO1 expression; under Pi-deficient conditions, PRU1 ubiquitinates WRKY6, which targets the protein for proteasome-dependent degradation, and then the PHO1 expression is enhanced. 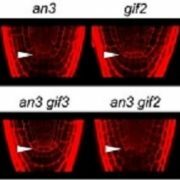 Thus, PRU1 modulates Pi homeostasis by regulating the abundance of WRKY6 in response to low-Pi stress. 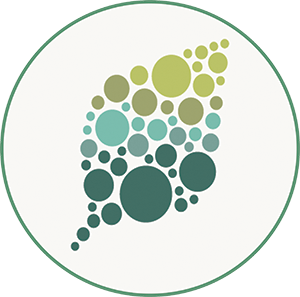 Next steps: Pi homeostasis is precisely modulated to adapt to environmental changes in Pi availability. 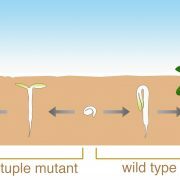 Further investigation into the regulation of Pi translocation is needed. In addition, it is unclear how PRU1 activity is modulated in response to low-Pi stress. 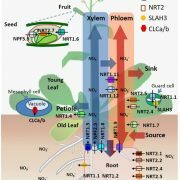 How Does a Plant Tolerate Prolonged Darkness?